A report by the IMF said that the ECB had more room for easing and this pushed investors out of the euro. However, the decline of just 24 points to $1.2507 could imply a lack of real conviction ahead of Bernanke's speech. Meanwhile, a half decent Italian bond auction, and the fact that Spain decided to delay its formal request for a bailout, meant that traders didn't completely flee the single currency. This morning sees EUR/USD trading at $1.2510 at the time of writing and support and resistance is seen at $1.2480, $1.2460 and $1.2560, $1.2590 respectively. Signs that the US economy is expanding, albeit at a slow pace, increased financial spread trading investor demand for the dollar which in turn pushed the EUR/USD pair 31 points lower to $1.2530. On this side of the Atlantic, the ECB is trying to address the re-emergence of Spanish regional debt problems, with Catalonia being the latest culprit to ask for financial help. This morning sees EUR/USD at $1.2540 at the time of writing, and near-term support and resistance is seen at $1.2480 and $1.2580 respectively. Two successful Spanish and Italian debt auctions spurred a rally in the shared currency yesterday, which gained 68 points against the US dollar to $1.2564. At the same time, there is some growing speculation that the European Central Bank might start buying bonds to put a stop to the rise in yields. This morning the single currency is clinging onto ground above the $1.2500 level at $1.2550. The bulls can't seem to quite find the impetus to send EUR/USD above near-term resistance at $1.2580. In the forex spread trading markets, the euro/dollar pair is having a rest, having pushed up to almost $1.2600 from Monday's low under $1.2300. The major downtrend, in place since last August, is not that far above us at $1.2675/85. It would be surprising if the current move pushed us to challenge this, but that does not mean that an attempt might not be made. The euro has had a series of bounces from new lows over the past year but none have come to anything in the end. Dealers will need convincing if they are to believe that this one is any different. The dollar continued to weaken after the release of minutes from the Fed's most recent policy-setting meeting. The minutes hinted that more monetary easing could be forthcoming, with most policy makers favouring additional measures of stimulus growth. In reaction, the EUR/USD gathered pace as it hit a seven week high, reducing the strain of early summer glooms. 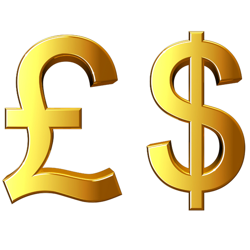 Sterling managed to break the recent resistance levels, with the GBP/USD market reaching $1.5770 and looking set to test $1.60 again this year. With further stimulus injections expected, equity markets are set to carry on the long squeeze whilst the dollar feels the burden. Currency markets followed yesterday's stock market breakouts and so the euro is now up at $1.2470, with short traders looking increasingly nervous at the Greek/German love in. If there continues to be no news at all, not necessarily even bad news, then markets may continue to squeeze higher as bears get picked off. Resistance is pretty close at $1.2485/90, and we can probably speculate that there are some guaranteed stop losses just above this level. The sterling/dollar market ignored the prospects of further easing and QE yesterday, and instead focused on the potential for higher debt rates, which might make the currency more attractive. Base rates are unlikely to move, but the yield curve may get a little steeper. Many of our clients are actually the wrong way round of the currencies in early action, having sold the euro and sterling rallies yesterday evening. The bulk of positions are not far from current prices, but I am sure there will be some nervousness if the moves gather momentum. The euro has broken the resistance levels at $1.2375/85 and our CFD clients were obviously looking at the technical indicators, with large short reversals clicking in at around the $1.2385/90 level. Longs will be looking to reach the $1.2440/45 level as their first target. Now that summer is drawing to a close, we are starting to get rumblings from Europe again, as Germany endeavours to sound reasonable whilst still talking tough. A full six months into Greece's austerity program has seen them come back and ask for another 2 years. And now it appears that it might not be one of the weak countries that first leaves the Eurozone, but instead one of the strong ones that decides that enough is enough. Finland went through a banking and GDP crisis in the early 1990's that was every bit as bad as the current PIGS problems, and yet they solved it with no help from anyone. Perhaps understandably, they are balking at having to pay to prop up far bigger countries in the south. We may well see the Finns decide that the whole thing is not worth it. The EUR/USD forex pair is still pegged back by the falling trend line, which has roughly held for the last week. Nevertheless, the total lack of movement is seeing us drift sideways through it. This is building up another resistance level at the top of the recent trading range, around $1.2375/85. Support can be seen at $1.2280/85, from a short-term rising trend, and below here at $1.2245/55. USD/JPY has bounced from the major support at ¥77.75/78.00 and is now back in no man's land at ¥79.55. There is no doubt that the yen is overvalued, but with the current Japanese deficit levels and the slim trade surplus, there is a natural buy side bias. The country is finally slipping towards a negative trade position, in no small part because of the closure of their nuclear power stations and future reliance on imported oil and gas. As a result, those with a very long-term investment horizon might be looking for a long-term decline in the yen. Although, with a GDP/debt level in excess of 200%, any worries over sovereign ratings could spiral very quickly.